RDK is an open source software platform for the connected home that standardizes core functions used in broadband devices, set-tops, and IoT. It enables service providers to manage their devices; control their business models; and customize their apps, UIs and data analytics to improve the customer experience and drive business results. Now, service providers and development partners can rapidly come to market with new services and applications, including popular premium video streaming apps, while maintaining complete control over the user experience as they build on the RDK platform. The RDK Lab Accelerator is a 4K/UHD set top with built-in Wi-Fi®, Bluetooth® and voice control compatibility. It comes pre-installed with the latest version of RDK open source software, the Metrological App Store and is configured with tools to customize services. RDK combined with the Lab Accelerator enables service providers to reduce the time to market for new solutions, differentiate their UX and maintain their customer relationships. The availability of the RDK Lab Accelerator reinforces ARRIS’s commitment to RDK technology. Most recently, ARRIS announced its support for the RDK software stack across its next-generation EPON gateways, offering a range of benefits to customers. This includes a unified back-office system for managing both fiber and DOCSIS® architectures, simplified network provisioning, carrier-grade management features, and full integration with the ARRIS HomeAssure™ solution. 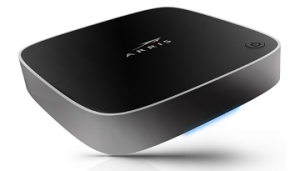 ARRIS has since made high-volume RDK deployments on multiple DOCSIS 3.0/3.1 gateways. The RDK Lab Accelerator ARRIS VIP5202W IP set-top is available for order. CommScope (NASDAQ: COMM) and the recently acquired ARRIS and Ruckus Networks are redefining tomorrow by shaping the future of wired and wireless communications. Our combined global team of employees, innovators and technologists have empowered customers in all regions of the world to anticipate what’s next and push the boundaries of what’s possible. Discover more at www.commscope.com. RDK Management is an open source consortium that manages RDK for the global community. RDK is an open source software platform for the connected home that standardizes core functions used in broadband devices, set-top boxes, and IoT solutions. It enables operators to manage their devices; control their business models; and customize their apps, UIs and data analytics to improve the customer experience and drive business results. The RDK community is comprised of more than 350 companies including: CPE manufacturers, SoC vendors, software developers, system integrators, and service providers. For more information on the tools, training, and events provided by RDK Management, please visit: www.rdkcentral.com.